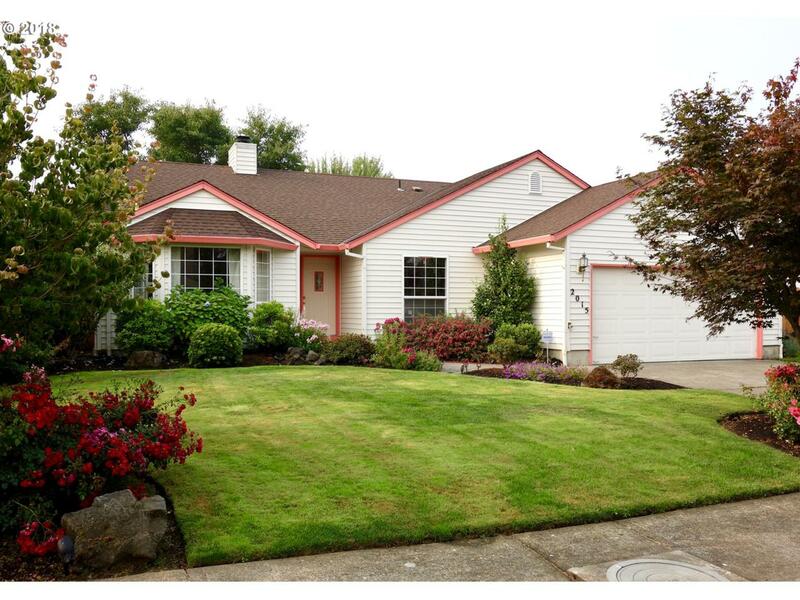 Gorgeous 1-level ranch home on cul-de-sac. Meticulously maintained inside and out. Vaulted ceilings, Australian hardwood floors, heated floor in master bathroom. Custom fireplace with gas starter, private rear patio/yard wired for hot tub, interior wired for alarm system. Professionally landscaped yard with sprinkler system, storage shed Shows beautifully and a great location... includes 1 yr home warranty.